The Work of artist David Garibaldi featured today!!! David Garibaldi paints secular people primarily, but this is a nice “surprise” video in which he paints Jesus on the cross. David Michael Garibaldi (born December 15, 1982) is an American performance painter. 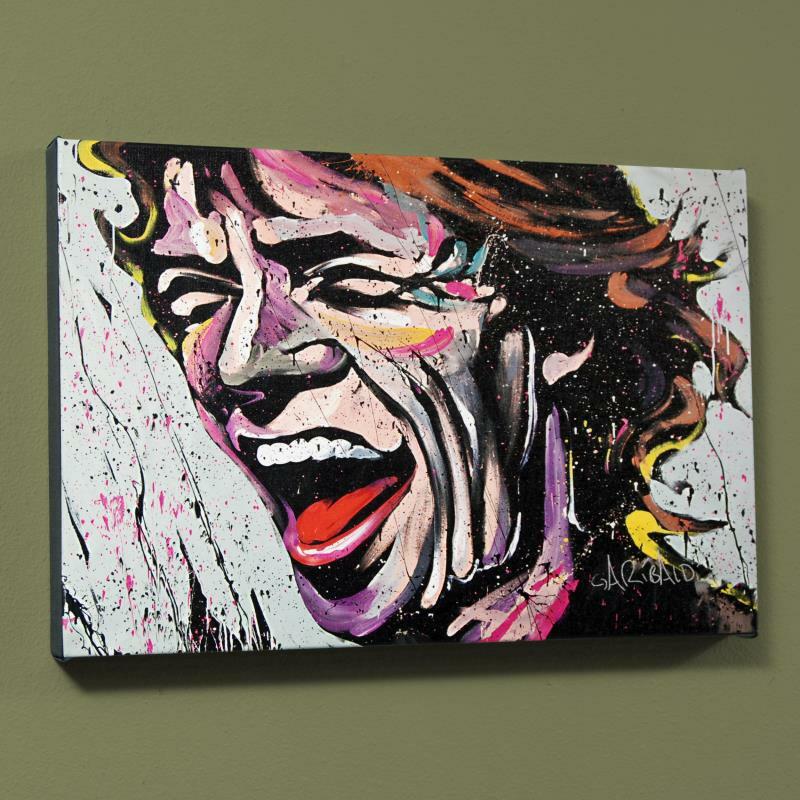 His specialty is his “Rhythm and Hue” stage act in which he rapidly creates paintings of notable rock musicians. Garibaldi was born in Los Angeles, California. In July 2006 he was invited to the Rock & Roll Hall of Fame and Museum in Cleveland, Ohio, where he painted a portrait of Mick Jagger. In September 2008 he was the opening act for Blue Man Group‘s tour in Canada and the United States. He has also opened for Snoop Dogg. During the halftime of a Golden State Warriors basketball game in November 2007, Garibaldi painted Carlos Santana, after which the musician unexpectedly greeted Garibaldi and later signed the creation. On April 11, 2009, he appeared on The 700 Club and painted a portrait of Jesus. On July 29, 2010, he painted his first self-portrait during a benefit performance at the 11th Annual Sacramento Film and Music Festival at the Crest Theatre, following the world premiere of Walking Dreams, a documentary about his work directed by Chad Ross. On April 20, 2012, Garibaldi painted Jeremy Lin during halftime of the New York Knicks game. Garibaldi appeared in the seventh season of America’s Got Talent. 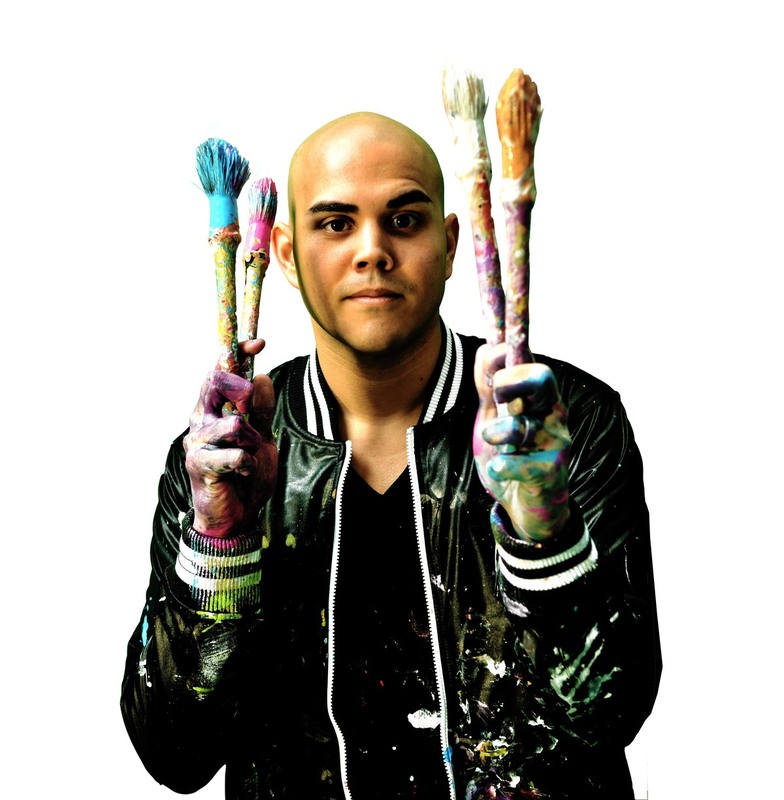 He has gone forward all the way to the finals with his act, David Garibaldi and His CMYK‘s, finishing in fourth place. Garibaldi’s work is strongly derivative of the work of artists Denny Dent and Jean-Pierre Blanchard. On the 17th of February 2017, David was invited by Matthew Patrick (MatPat) to guest star on GTLive on YouTube. 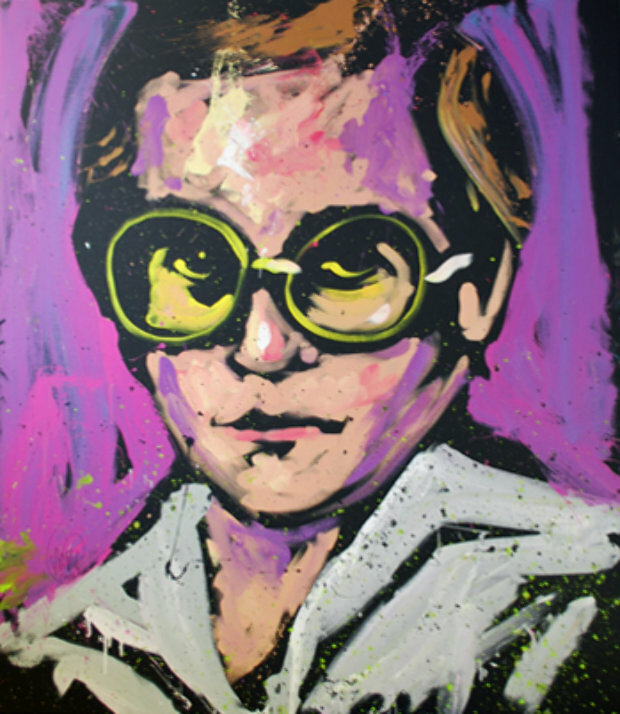 David Garibaldi created several paintings which were given to lucky raffle winners watching the stream. Jump up^ “David Garibaldi”. Californiabirthindex.org. Jump up^ Donnelly, Pat (2008-09-26). “Blue Man Group at the Bell Centre: Performance Art gone Arena Show”. Montreal: The Gazette. Archived from the original on 2008-11-04. Retrieved 2009-02-26. Jump up^ “Warriors Santana Art Auction”. NBA. November 2007. Retrieved 2008-09-22. Jump up^ “David Girabaldi: Portrait of Christ – CBN TV – Video”. Cbn.com. Retrieved 2012-10-15. Jump up^ “Sacramento Film & Music Festival”. Sacfilm.com. Retrieved 2012-10-15. Jump up^ “Interview with the artist”. Youtube.com. 2009-08-18. Retrieved 2012-10-15. This article about a painter from the United States is a stub. You can help Wikipedia by expanding it.